Maverdi. Won’t you talk to them? Why are you not going over there? 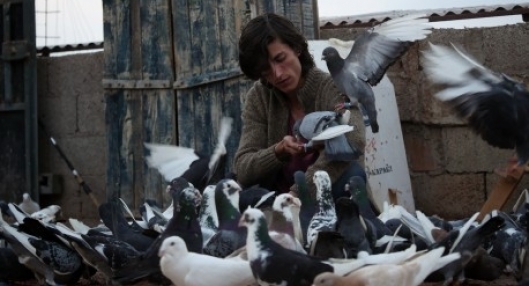 They are your kind.’ On a rooftop in Adana, Yusuf cares for the pigeons in his dovecote. His favourite bird is called Maverdi. To lure it even closer, he sometimes puts a seed between his lips for it to peck. The light grey pigeon is an outsider in the dovecote, just as Yusuf is in society, where he has to face ignorance and violence. The young man’s face rarely brightens up, and the pressure from his brother to go out to work makes things even worse. In her debut feature film, Banu Sıvacı evokes a genuine sense of empathy for the apparently fragile then fiercely rebellious loner who is fighting for a small joy that most people seem to begrudge him.